Shock Inclusion On Manchester United Bench To Face QPR? 18-year-old Andreas Pereira makes shock appearance on Manchester United bench against QPR. What does it mean? 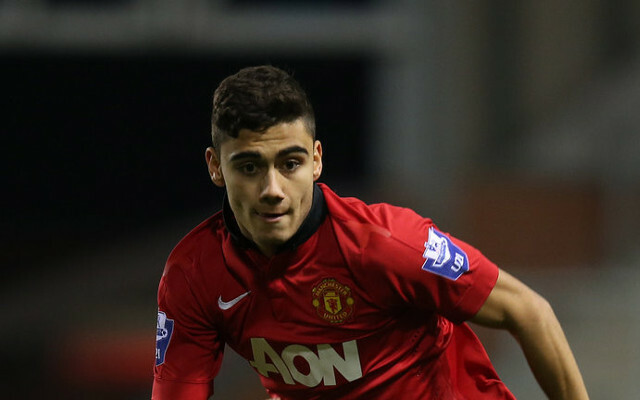 18-year-old Andreas Pereira was a shock name on the Manchester United bench to face QPR today. United allegedly looking to tie the Belgian born Brazilian down long term, his current contract finishing at the end of the season. Top Five Managers Sacked: Top five managers likely to be sacked this season, West Ham and Newcastle bosses included. Rooney Goal QPR: Wayne Rooney makes it three before half time at Old Trafford. Wilshere V Nasri: Jack Wilshere floors Samir Nasri with powerful elbow in Arsenal’s clash with Manchester City. The youngster is apparently engineering a move abroad, eyeing more first team football to help him progress in his career. Belgian journalist Sven Claes suggests that Pereira has had offers from a number of Dutch clubs, but he would prefer a move to Spain. Having joined Manchester United in 2011, the club are desperate for him to sign a contract extension. He is yet to make an appearance for the first team however, and it could take quite a lot to convince him to stay. An appearance against QPR may help, but with the Red Devil’s star studded line up Pereira will know he needs a move if he wants regular first team football.